The school year is in full throttle and fall sports are starting to kick off! From volleyball and football to basketball, hockey, and soccer, children all across the country are gearing up for their favorite autumn after-school activities. 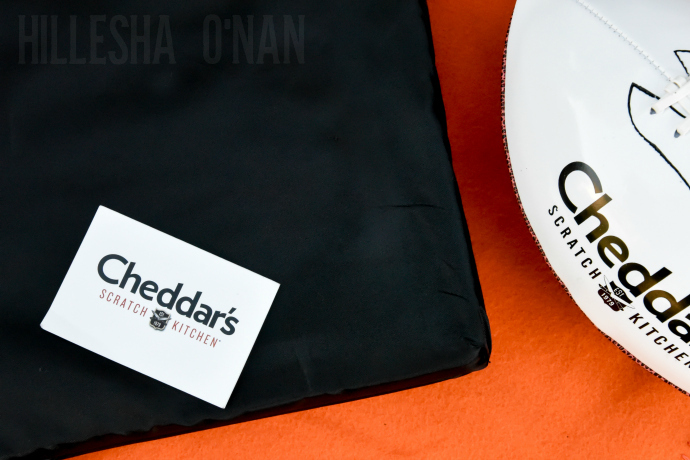 This sponsored post is in partnership with Moroch on the behalf of Cheddar’s Scratch Kitchen. It is almost hard for me to believe that it has almost been three months since my oldest son headed back to school. It is even harder to believe that he is now in middle school. It seems like the summer break crept by so quickly. This goes to show that time flies, especially when you’re having fun! Our summer was filled with a whirlwind of activities, events, and milestones. With the summer behind him, my son has been dedicating his time to school activities that he enjoys like soccer and band. Sports and performance arts has helped my son overcome some of his shyness as well as the stigma of ADHD. Sports and performance arts has also taught him the importance of perseverance, teamwork, and dedication. There is always room for self-improvement and the power to surprise yourself, whether it’s a competitive sport like soccer or performance art activities like band. I hope that my son’s love for soccer and music will continue to inspire and motivate him as well as provide entertainment. One of his happiest and proudest moments occurred recently. He got to perform at a half-time show at a high school football game earlier this month! This was a monumental moment that called for a celebration! I couldn’t think of a better restaurant than Cheddar’s Scratch Kitchen to celebrate with a few other students that are part of his school band. With an array of fall school sports (and performance art activities) underway, Cheddar’s Scratch Kitchen is the ideal restaurant to treat your little athlete’s fall sports teammates in after a game! It’s a great way for them to share laughter and delve into deep conversations with their fellow teammates over a warm and comforting meal in a relaxed environment. In addition, the attentiveness of the staff makes you feel right at home. This season, stop by your local Cheddar’s to treat the time! Also, don’t forget to sign up for the Cheddar’s e-club to get free chips and queso. 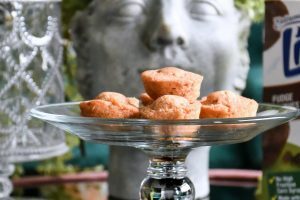 Additionally, you’ll be the first to know about their new menu items, have access to great deals and special offers, and even be able to catch up on the latest blog posts. One winner will receive a $100 Cheddar’s gift card, football, throw blanket, first aid kit, portable padded folding stadium chair, and activity sheets. What would you like to try from the menu at Cheddar’s Scratch Kitchen? Visit http://tinyurl.com/treattheteam for printable “Treat the Team” activity sheets. I would love to try the beer-battered fried shrimp. I’d like to try Country Fried Steak. I like their grilled chicken salad. I would love to try the House Smoked Baby Back Ribs! Yum! 🙂 Thank you. I’ve looked at their menu and I must say they have a lot of delicious food. And the House Smoked Baby Back Ribs is one of them. I would like to try the blackened grilled white fish. Thanks! I am most interested in the country fried steak meal. I like their grilled chicken salad! I would like to try the 12 oz. Ribeye. I would like to try the Grilled Baja Chicken. First off, the menu looks awesome. The one thing that catches my eye is the Monte Cristo sandwich! Love the Chicken fried chicken it is so good! I so want to try the BEER-BATTERED FRIED SHRIMP. Thanks! Cheddar’s is a good place to eat. The’ chicken looks good! I would try the chicken fried steak. I’d like to try the Grilled Tilapia with Mango Salsa. the ribs but I think it is because I am craving them right now. I’d like to try the Baked Spasagna. I love Cheddar’s. The food has always been great and never had a complaint. They have the best county fried steak!! I need the to try the Sweet Heat Chicken and Shrimp, thank you so much!! I would love to try the grilled salmon. I would love to try the Grilled Tilapia and Shrimp with Mango Salsa the most. Everything sounds good! The new Blackened Salmon and Shrimp sounds good!! I would like to try the HICKORY SMOKED BABY BACK RIBS. Cheddar’s sounds like an awesome restaurant. I so wish we had them around here because I would love to eat there. I want to try the grilled salmon. Cheddar’s looks like an amazing place to eat! I’d LOVE a big plat of those ribs! Om nom nom. I would try the grilled salmon. I haven’t had salmon in a while and I really like it, if it’s cooked correctly. I love that there’s a choice of seasoned, blackened or bourbon glazed. When I was in college they had a cheddars close to it and we would hang out there. It closedown and I was always sad about that. I’m so happy to see that they are opening new stores up again. They always had great food. Oh wow that sweet heat chicken and shrimp sounds killer! I would love to go there. How good does Cheeders look! I have never heard of this restaurant chain before but I am going to have to find out if we have them here now! We have been to Cheddars a few times and enjoyed the food and customer service. They have greet menu options. I’d love to win this giveaway. I’d love to try the grilled salmon. All of these food options sound so delicious! Thanks for the review, and cool giveaway! I had never heard of Cheddar’s Scratch Kitchen before, so I checked out their website. I’m super bummed we don’t have one near us. It sounds like a great restaurant! The Fireball Sangria is calling my name and their burgers are always out of this world! I would like the Country Fried Steak Dinner. Yum, I love Cheddars! I’m a big fan of their chicken pot pie, but their croissants are delicious too! I want to try the New Orleans Pasta. What an awesome place to celebrate an achievement by the kids! I just love that they have a lot of food choices! I’m sure the kids will feel special! Karen Morse recently posted..My Vampire Facial Results & Why Celebs are Obsessed with it! This post has made me so hungry! What I wouldn’t give for a piece of that cake right now! Yum! I’d like to try the Half Rack of Ribs & Shrimp! Those desserts are great for after the game or any time. I hope your son continues to enjoy and progress through school. I absolutely love Cheddars. I love going there with my daughters. I would love to try their 12 oz. Ribeye (I’m a sucker for a good Ribeye). The Beer Battered fish sure sounds delicious. I am pregnant, so a salty sweet combination like the Monte Cristo would be perfection! The food is amazing and very delicious looking. I would love to try their Grilled Salmon someday. All of those meals look absolutely delicious, especially the dessert! That made my mouth water! Definitely need to visit this place! I don’t think I have ever been to one of these before. I know we don’t have one in my town, but I think we have one decently close that I could go check out. The food looks really great,. We love Cheddar’s but I have to admit, it has been awhile since I have been there! I looked at the menu and it looks so delicious! I live in the UK sadly but what a fabulous giveaway. Cheddar Kitchen looks like it has heartwarming food for all the family and your photos are beautiful too! I want to go to Cheddar’s just for that Fireball Sangria! The chips and homemade queso look pretty awesome too! They offer really great and delicious food! I can’t wait to try anything here. This giveaway is fab! Wow! The food looks mouthwatering! How I wish I am near and able to visit! The New Orleans pasta sounds yummy. I really wish there was this restaurant near me. I have heard many great things about it. The food you got looks amazing too. I would try the GRILLED CHICKEN ALFREDO . Who wouldn’t want to celebrate in such a lovely place! There’s good food and plenty of things to enjoy! It’s definitely a place that my kids will like. I love the chicken tenders and shrimp combo. Celebrating in a place like this would be amazing! I think the food looks really yummy! It’s always nice to celebrate even the littlest of things, it motivates the kids to do more. I’ve never been to a Cheddar’s Scratch Kitchen before, but give me exposed brick and great food any day and I’m there. 😉 Perfect place for a fall meal! It has been a long time since I have been to a Cheddars restaurant. I like that they have something for everyone. I would get the BBQ chicken if I won the giveaway. 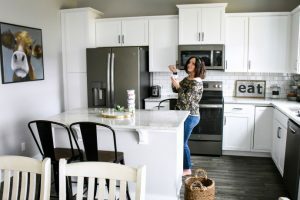 uprunforlife recently posted..Is Mold Exposure in Your Home or Workplace Causing Your Health Symptoms? I have never heard of this restaurant before! It sounds so comforting and delicious! Thanks for sharing about it! This food looks so so good, it made me hungry! Some grilled salmon looks awesome! I have never head about this but the food does look delish!!! The Grilled Salmon would be my first choice. The grilled salmon looks yummy. My dad really loves Cheddar’s and was planning on having a big birthday bash there. I just wish they had a friendlier gluten free policy. Country fried steak sounds amazing and perfect comfort food for a cold fall day like we have now! This restaurant looks like it has a lot of food varieties for customers! I always enjoy eating at Cheddars but unfortunately don’t have a location close by our house. We always stop when we see one while traveling. I would love to try this place. The food looks so great. 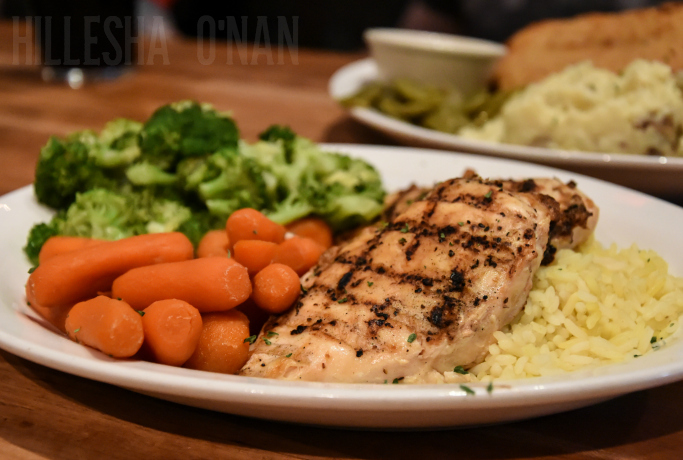 Cheddar’s has a lot of delicious food to choose from for the whole family to enjoy and that’s why we love it. Great giveaway! I had not heard of Cheddars! This looks like a great place to take my family, so I will have to check it out!! Free chips and queso? Sign me up. Wish we had a Cheddars near us because it looks like a fun place to have a delicious meal after a school day full of activities. I’d love to try their Chicken Pot Pie! Someone will be really lucky to win this giveaway. I love everything I’ve ever tried at Cheddars. They have an amazing menu. We don’t have one of these restaurants in the area, but the food looks so good and looks like a great place!! We love Cheddars. I totally agree; it provides a great atmosphere for a date night or a casual night out with the gang! The menu is excellent and if you leave hungry, it’s your own fault! Yum! This looks like great home cooked meals my family would very much appreciate on a busy school night! 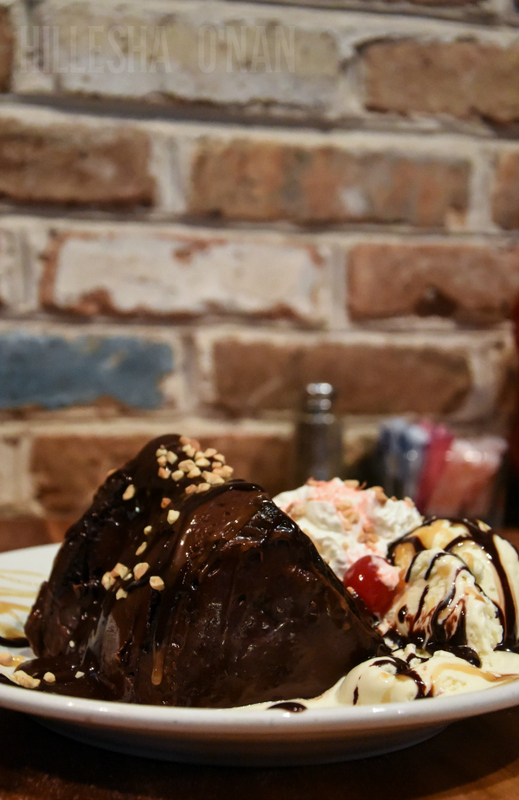 I’m sure we would all order something different but most definitely agree on that chocolate cake for dessert! I’d like to try the New Orleans Pasta. All of this food looks so amazing! I am a sucker for any place that has some amazing desserts. Ooh, lots of good stuff on their menu! I’d like to try their Grilled Baja Chicken. I would like to try the Country Fried Steak. I wold like to try the Hand-battered Country Fried Chicken. Those mash potatoes look delicious, it could also be that I am hungry. 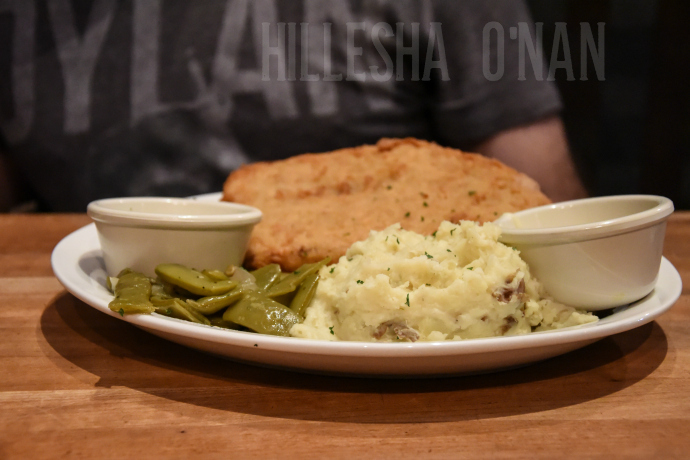 We love a good chicken fried steak. I would like to try the Grilled Chicken Pecan Salad. I’d love to get the cheddar fries from the appetizer menu and maybe try something else new. I’ve never been to Cheddars but I’ve heard good things about them. That dessert looks amazing too! I want to try the BBQ Chicken Platter. I would like to try the Dijon Chicken & Mushrooms from Cheddar’s Scratch Kitchen. They have very tasty food.I really like the Chicken Fried Steak. I think I would like to try the Monte Cristo sandwich with fries. It looks so yummy! I would love to try their Country Fried Chicken. I would take my mom and dad when we go visit them. I would like to try the 8 oz. USDA ChoiceTop Sirloin Steak* with Fried Shrimp. I would love to try the Country Fried Chicken. I love steak!!! I would try the Ribeye. I would like to try the baby back ribs. The New Orleans Pasta looks delicious. I’d love to try it. I’d like to try their Grilled Salmon. I would like to try the BBQ Chicken Platter. I would most like to try the Monte Cristo sandwich. I would love to try their half rack of ribs and shrimp. This place has a great menu so it is really hadr to choose. I would love to try Cheddars Sweet Heat Chicken and Shrimp along with Cheddar’s Legendary Monster Chocolate Chip Cookie dessert. Probably a Rib-Eye Steak–maybe the 12 oz, since I could certainly take some home for a second meal! I would like to get the BBQ Chicken & Half Rack of Ribs. I’d try that chocolate cake ! The House Smoked Baby Back Ribs sound awesome! I haven’t had a Monte Cristo in over 30 years! I would love to try their house smoked baby back ribs! I’d like to try the Key West Chicken & Shrimp! Haven’t tried anything there that I didn’t like! The Chicken Tenders and Mac N Cheese are my favorite though! I would like to try the Baked Spasagna. It sounds yummy. I would like the bacon cheeseburger. I would try the house smoked baby back ribs. I’s pick the bacon cheeseburger. the country fried steak meal! I would love to try their country fried chicken! I like the Grilled Salmon dish the most of all menu items at Cheddar’s. I am obsessed with both chicken and shrimp so for me it would be the Sweet Heat Chicken and Shrimp! I would try the grilled salmon. Thank you. I’m trying to eat healthier so I would like to try the Grilled Salmon. Love the steaks there when they cook them right. I would want to try the 12 oz. Ribeye Steak first! I would like to try the grilled salmon. It’s my favorite fish and just sounds so good. I’ve eaten there a few times and LOVE their chicken tenders and ranch dip. I’ve always wanted to try their pazooki but have never splurged on dessert. Oooh.. I’d like to try the Blackened Salmon & Shrimp. And now I’m hungry! Grande Top Shelf would wet my whistle. I’d love to try their salmon and their Queso! Want to try their monte cristo sandwich. I would love to try the grilled chicken salad! I would be soooo happy to try Gigi’s Baked Spasagna. Sounds yummy!